Looking for a FREE Printable Color Wheel? Well, you’ve come to the right place. This post covers color theory, color mixing, and includes a Free Printable Color Wheel. Keep reading for more information. A color wheel is an illustrative organization of color hues, around a circle, that shows the relationships between primary colors, secondary colors, tertiary colors etc. What are Color Wheels Used For? Artists and designers use color wheels as guides for mixing colors (in a painting) and for determining which colors work best together and which do not. Therefore, bloggers can also use this information to determine which colors to choose for their brand and blog. In the illustration above, you can see the three primary colors. A purple pie slice would go between the red and blue pie slice. This is because red and blue, mixed together, creates purple. Purple is a secondary color. When you mix purple and blue, you get a blue purple or violet. This color is considered a tertiary color. You could continue this process, creating a large color wheel with numerous similar colors within a grouping. In addition to learning how to create new colors, you can use a color wheel to determine which colors work together and which do not. Complementary colors are colors that complement each other and are located across from each other on the color wheel. Therefore, red and green are complementary colors. Analogous colors are colors that are next to each other on the color wheel. Typically one of the colors being a dominant color (either a primary or secondary color) and the other color being next to that color on the color wheel. Red and red/purple are analogous colors. Most noteworthy, an analogous color scheme can be used to create a monochromatic look. Tints of a color are created by adding white. Pink is a tint of red. Shades of a color are created by adding black. Maroon is a shade of red. In conclusion, a color wheel is a great tool for any artist or designer. As mentioned above, artists, writers, and bloggers can use color wheels to determine which colors will work best in their logo or on their website. Furthermore, you can also use a color wheel to help teach kids about art. 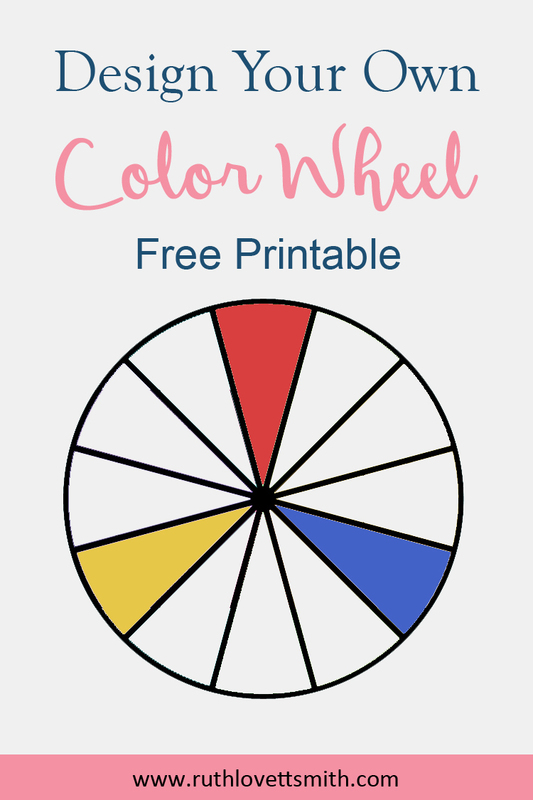 Download my free printable color wheel, from my shop, by clicking on Free Color Wheel Printable. Or click on Color Wheel Printable to download immediately.